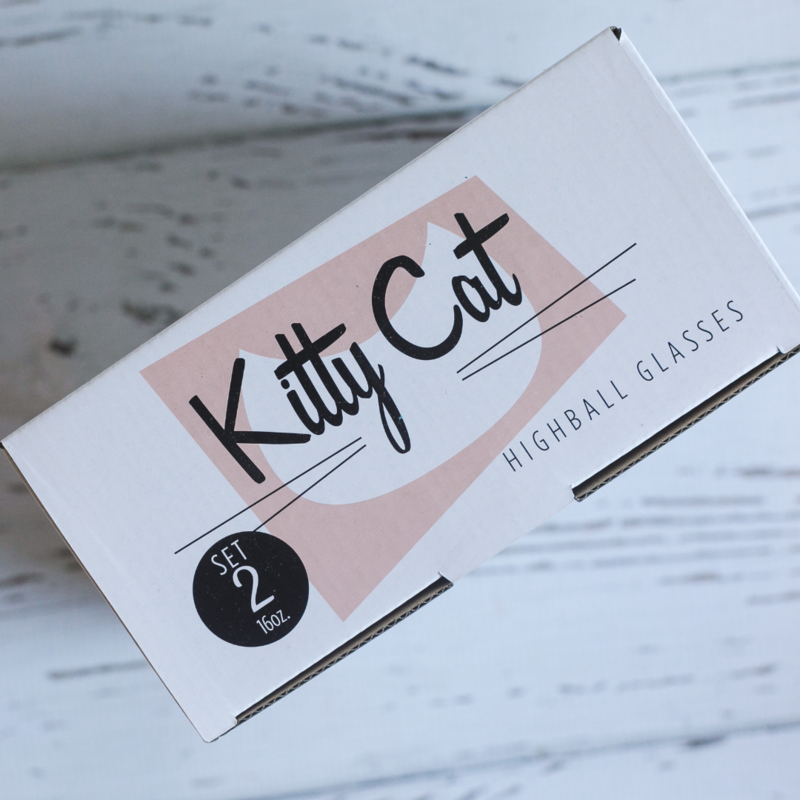 Beautiful pair of retro-looking Kitty Cat highball glasses! 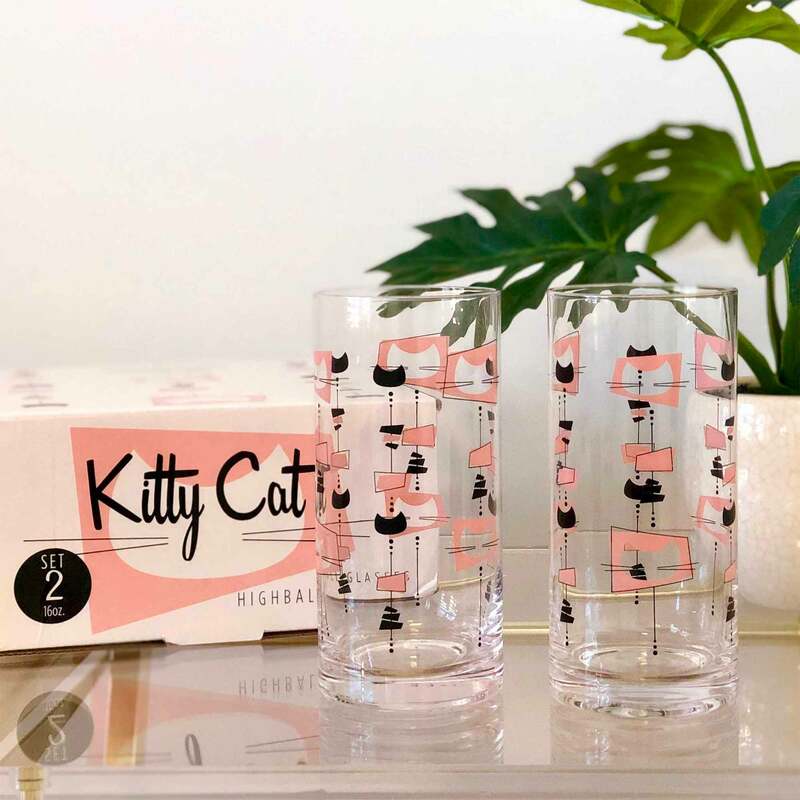 Set of two 16-ounce tumblers with a gorgeous pink and black midcentury meowdern inspired cat design! 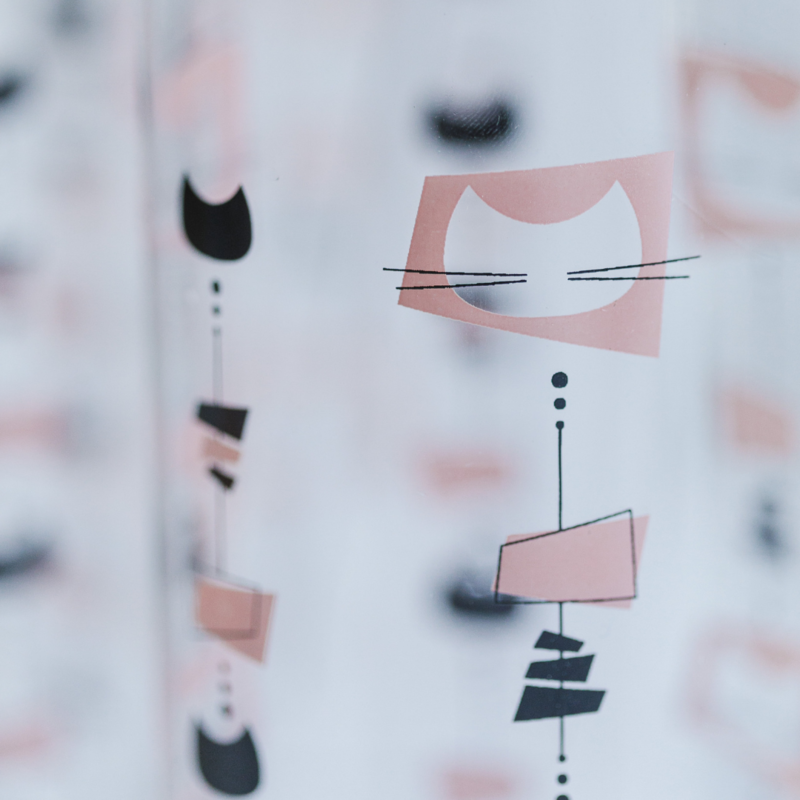 Fix yourself a fancy cocktail or refreshing water and cheers to your cats! 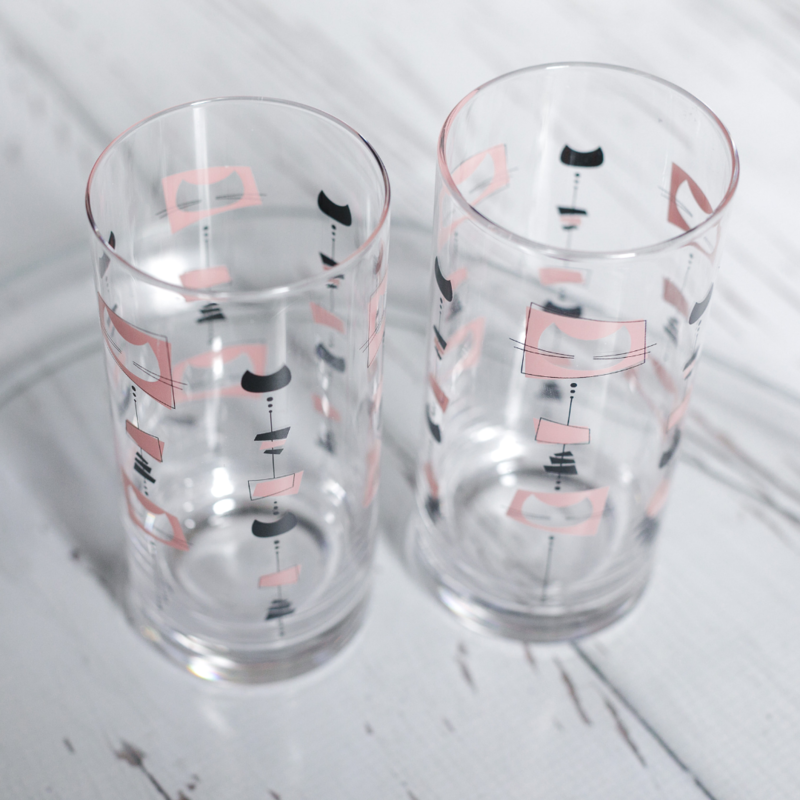 Set of two 16-ounce glasses. 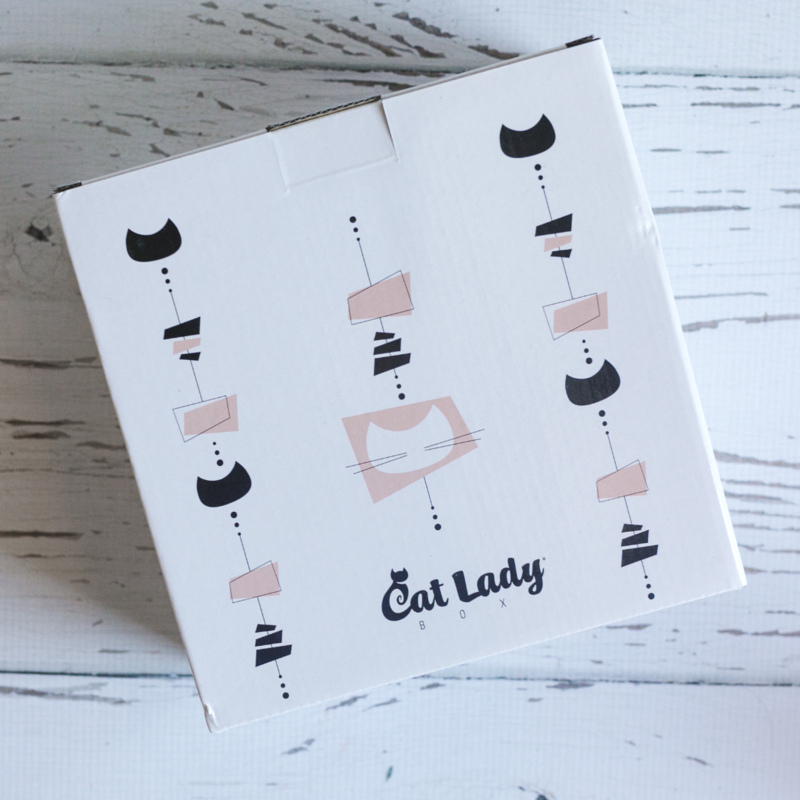 Made exclusively for CatLadyBox and originally featured in our “Meowlentine’s Day”-themed box.